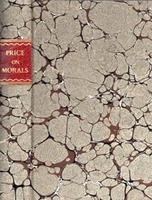 A Review of the Principal Questions in Morals. Particularly Those respecting the Origin of our ideas of Virtue its Nature Relation to the Diety Obligation Subject-Matter and Sanctions. Man God and Immortality. Thoughts on human progress. Commonly called Al Koran of Mohammed. With Explanatory Notes and Preliminary Discourse by George Sale. Also Readings from Savory's Version. or Alcoran of Mohammed; With Explanatory Notes and readings from Savary's Version; also preliminary discourse. By George Sale. Capital. 2 vols. (Vol. I: A Critical Analysis of Capitalist Production; Vol. 2: A Critique of Political Economy). Transl. from the third German edition by S. Moore and E. Aveling and ed. by F. Engels. The Soul of The White Ant. With a Biographical Note by his son & transl. by Winifred de Kok. Hegel's Philosophy of Nature. Ed. and Transl. with an introd. and explanatory notes by M.J.Petry. 3 vols. Sir Joseph Banks K.B. P.R.S. The Autocrat of the Philosophers. BANKS J. (By H.C. Cameron). Ends and Means. An Enquiry into the Nature of Ideals and into the Methods employed for their Realization. Reading and Remembering. 2nd ed.